I got part of this inspiration from Adria Ferran's recipe and also from a good friend who does a lot of home cooking. 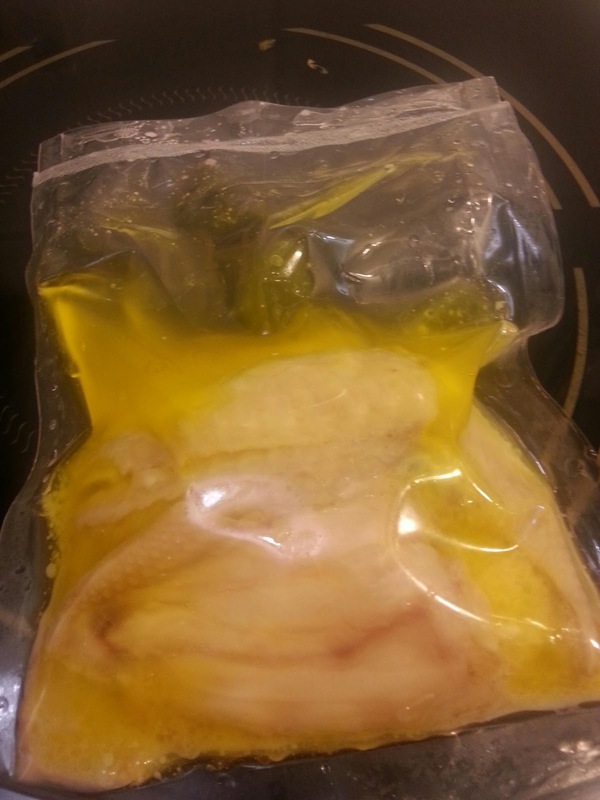 The chicken wings were first marinated and then sealed in butter. The wings need to cooked for 24 hours at 63 degrees. Instead of a tandori style chicken wing, I am borrowing the idea of a Chinese basil chicken dish. But first of all, the wings need to be cooked for 48 hours and then I need to ask the friend how she does her chicken !